A fistula is found to be associated with the furca when the patient returns for extraction (Fig.1 <). 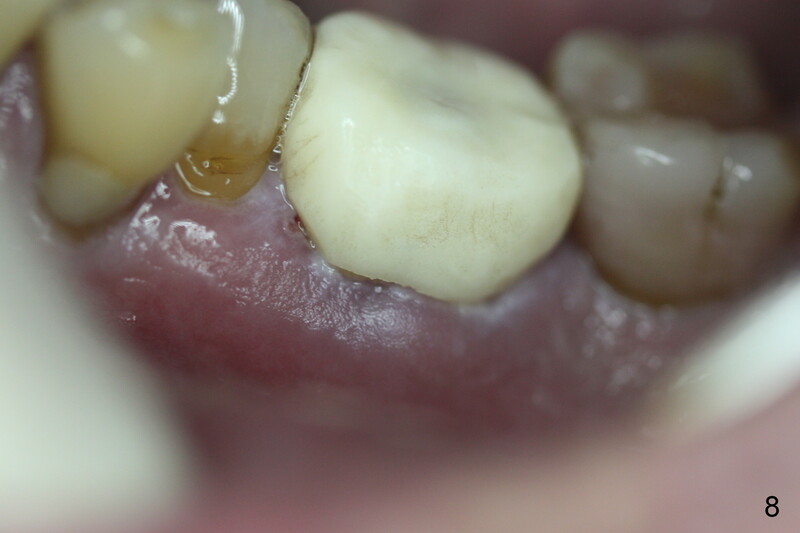 Although the mesial socket is deeper than the distal one, no granulation tissue is curetted from the mesial. Osteotomy is set in the middle of the septum by making a slot first. 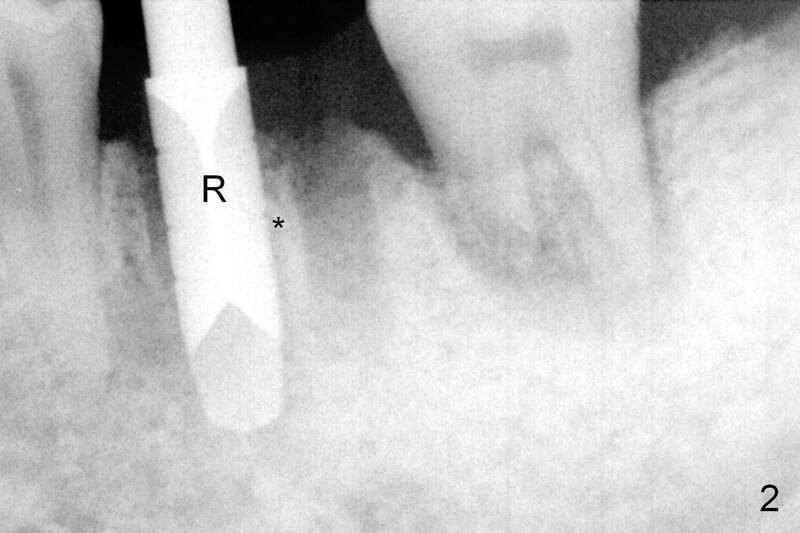 When the osteotomy is enlarged by 4 mm reamer (Fig.2 R), the latter has been deviated mesial to the septum (*). 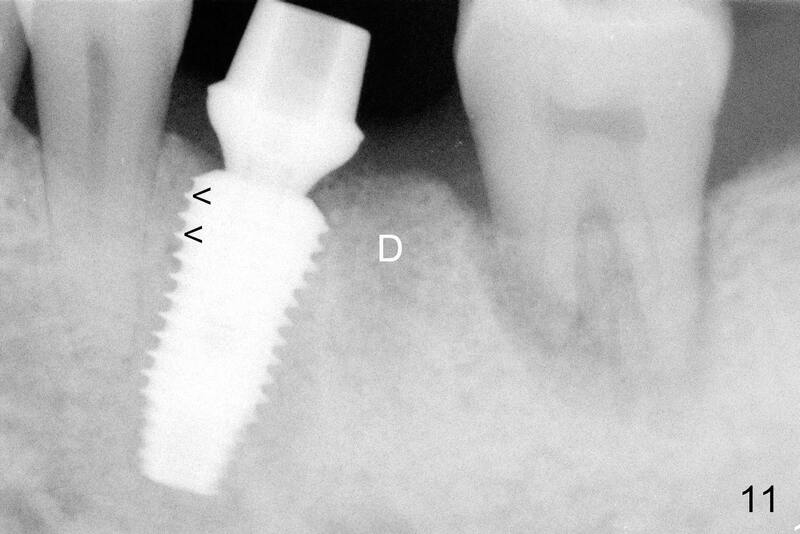 By manipulating, the coronal end of 6x12 mm implant and 6.5x4(3) mm abutment (Fig.3 A) are placed somewhat in the middle of the socket. 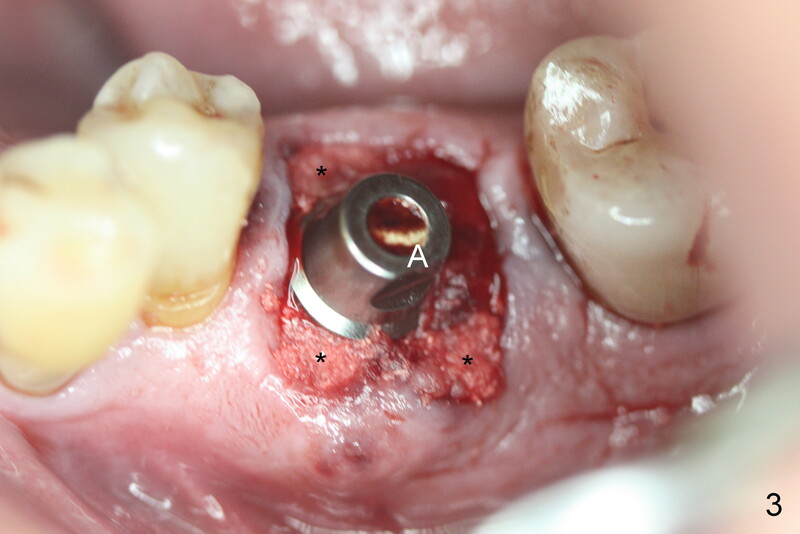 An immediate provisional is fabricated to cover the socket and bone graft (Fig.4 P). 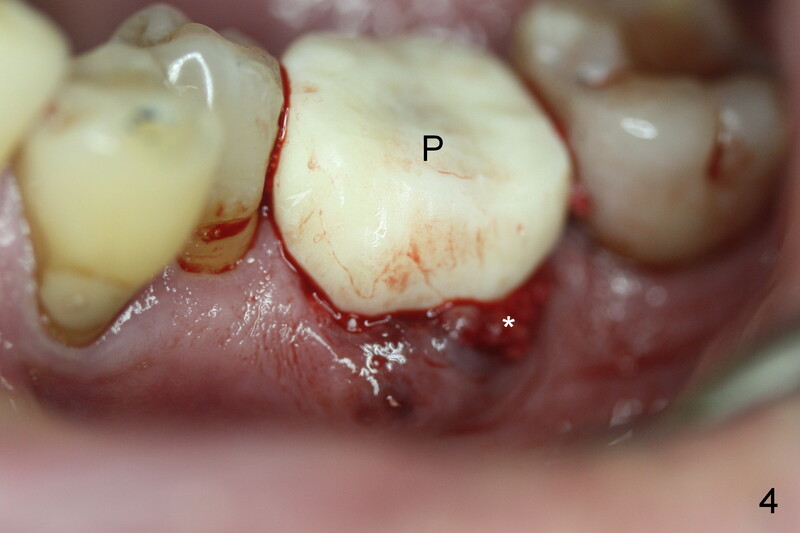 The exposed bone graft (Fig.4 *) is then covered by perio dressing. 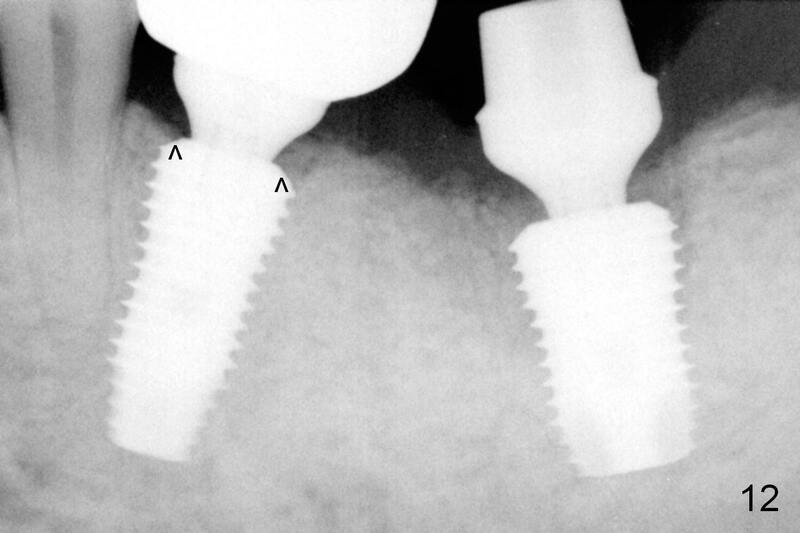 Off axial placement of the implant (Fig.5 I) and abutment (A) is striking in the immediately postop PA (Fig.5). How to place the immediate implant in the middle of the septum? In addition to the slot in the middle, the smallest pilot drill should be used for limited depth and an early intraop PA should be taken (Fig.6). 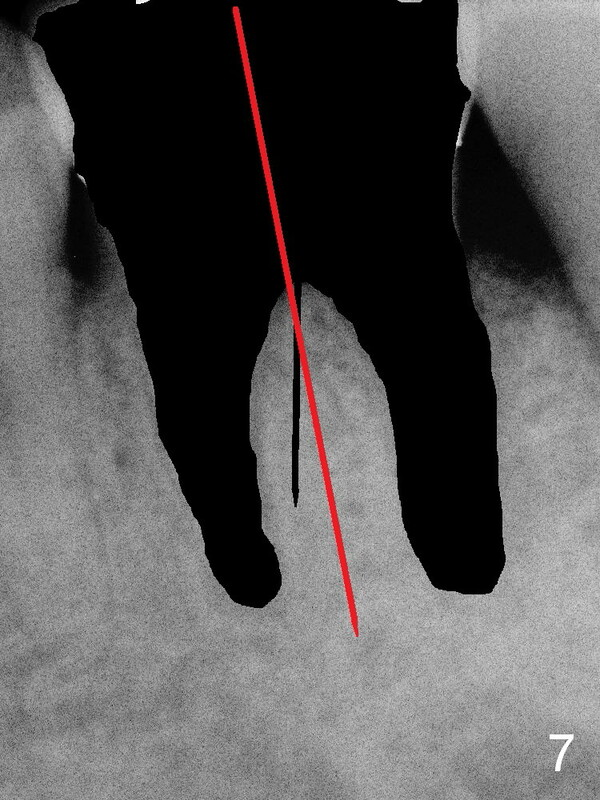 If the deviation is noted (Fig.6 red long arrow) in the septum (S), it should be corrected before using the next drill (Fig.7). 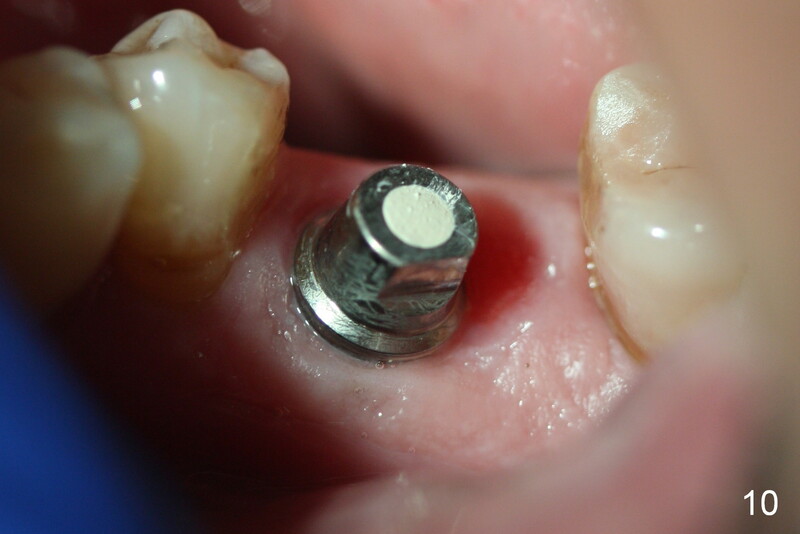 The patient recovers so well that next day he starts to concern about when a permanent crown can be placed. The patient remains asymptomatic 6 days postop (Fig.8,9). The fistula is resolving (Fig.9 <). The provisional is removed for reline. 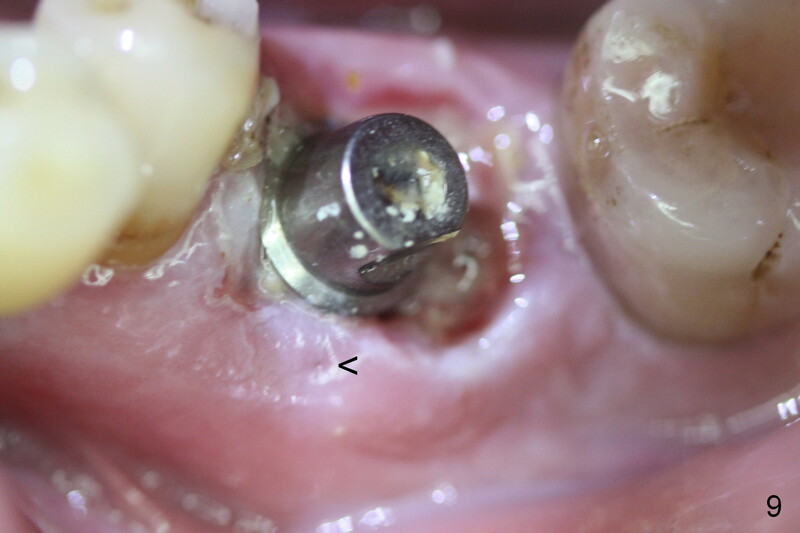 When the patient returns for final restoration 4 months postop, the soft tissue around the implant heals with distinct abutment margin (Fig.10). It is easy to take impression. This is due to the presence of the immediate provisional. The bone density in the original mesial (Fig.11 <) and distal (D) sockets increases, suggesting osteointegration. 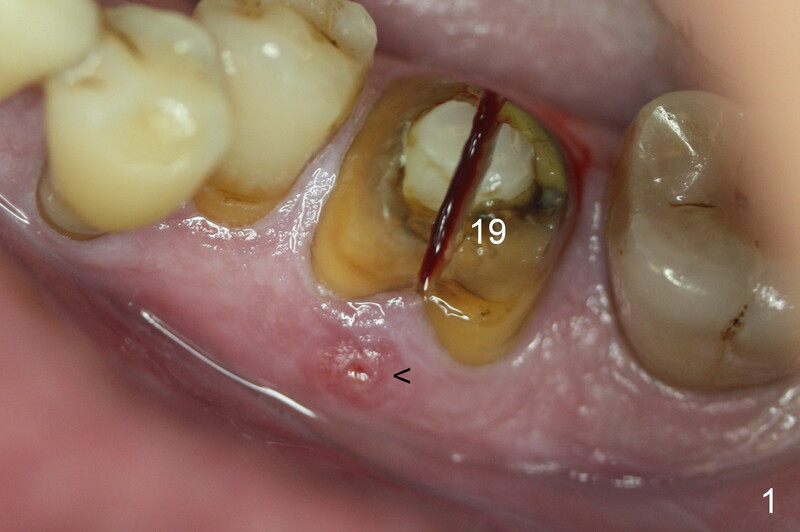 Eight months later (1 year postop (#19)), the tooth #18 becomes symptomatic and is extracted and replaced by an implant (Fig.12). 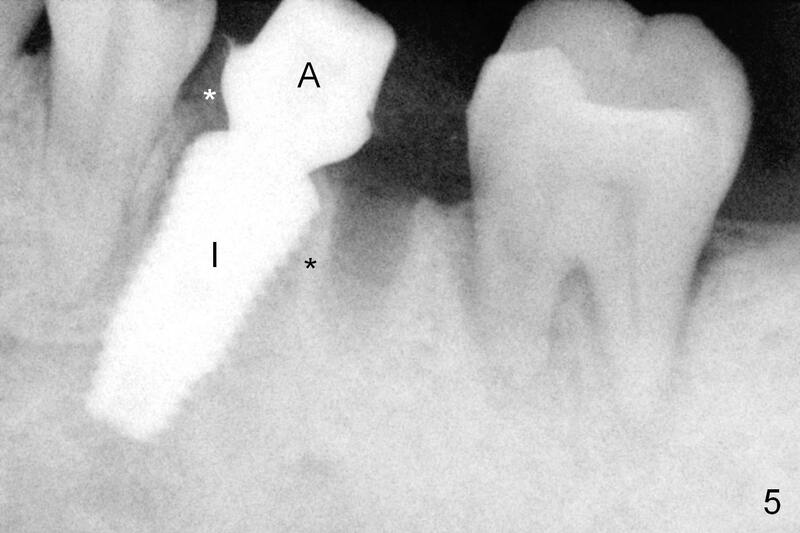 The distal socket at #19 has disappeared, while the plateau of the implant is covered by the bone (^).